New Zealand euthanasia bill is wide-open and open to being wider, says the author of the bill. reported today on a talk given in New Plymouth by Maryan Street, the New Zealand MP who has sponsored a bill to legalize euthanasia in New Zealand. The bill proposes euthanasia be open to people with terminal illness likely to cause death within 12 months, or to people with an irreversible physical or mental condition that renders their life unbearable - by their own assessment. "Application for children with terminal illness was a bridge too far in my view at this time. That might be something that may happen in the future, but not now." The Netherlands first legalized euthanasia in 2001 for competent people, it has now approved euthanasia for newborns with disabilities and people with dementia. "I feel a little aggrieved when people say this bill will be the start of a slippery slope where we will just dispose of everybody who is inconvenient for society. It's not true. It is about people having the choice as to when they end their lives." When euthanasia was legalized in Belgium in 2002, the euthanasia lobby also claimed that it was an issue of choice. More articles on the New Zealand euthanasia bill. - Dangers of euthanasia spelt out. - Debates on euthanasia. The soul of medicine is on trial. 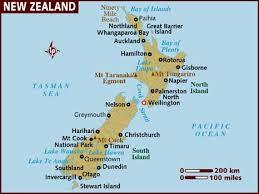 - Down Syndrome community opposes New Zealand euthanasia bill.